Ever wished to work, travel and spend your Varsity holiday in America? Love the hospitality industry, working with people and experiencing true American culture! Then what are you waiting for, spend your university holidays working in the USA with OVC and our international program partners! 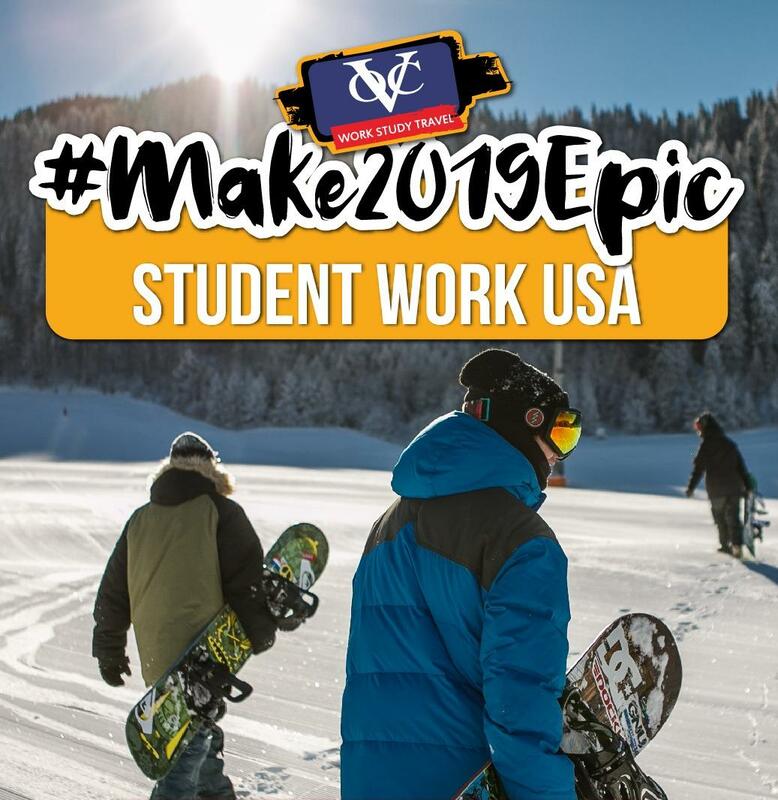 OVC work with a variety of resorts, placing students in the US from Nov to Feb, to work in different positions. All students will work 32 plus hours per week, with the option of a second job placement in some cities. Don’t forget that we can place friends together! Our resorts are in great locations for students to explore local cities or even take up some skiing at a local mountain resort. OVC assist all students to arrange their application, placement, visa and housing. To be eligible to partake in the Student work program , OVC will be looking for full-time tertiary students aged 18 and older, who have enthusiasm, drive, people skills, are reliable, punctual, have a good command of the English language, and those who are keen to share their South African culture with the American guests at the resorts. All students must be available to depart on the departure dates set out for the months of November and must have a valid passport and funds available to travel. So start saving now and make sure you have a valid passport too. (A student is defined as a person attending a tertiary education centre that is recognized by the Education Department). Technikon students are also accepted. As long as you have completed at least 6 months of study at a tertiary level during 2018, you are eligible to apply. We regret that no UNISA students are eligible to apply, unless attending full-time lectures. Program start dates range from 1 Nov through 1 Dec 2019. Program end dates range from 15 Jan to 15 Feb 2020. Lifeguard Positions and a variety of positions at Ski Resorts! All students travel to the USA on a J1 Student Working Visa. This is a cultural exchange program and aims to allow students not only to work, but to travel in the USA. After completing your placement all students will have up to 30 days to travel within the USA! A great opportunity to visit family, friends or even book a Topdeck USA tour to travel to all the famous sites the US has to offer! Past students have travelled to New York, Orlando, Washington DC, Las Vegas, Los Angeles and many more fantastic destinations in the US. All students must apply now and applications will close around August. Placing couples or friends together is possible. We will host in person or skype interviews during August/September. There are limited positions so apply early! OVC offices will send all students the starter email. Complete the online application, as well as gather the necessary documents to apply. Have your application fee ready and book your pre-screening interview at your local OVC office. OVC will pre-screen all candidates and determine their eligibility for the program. We will also be hosting presentations from now until the end of August for all applicants and parents that would like to come in and find out more. So contact your local OVC office to book an appointment. All students must apply asap to avoid missing out on the program and interviews which will take place. o Full Medical insurance cover, as well as visa sponsorship for the USA from US sponsor. Reasons to spend your University holidays in the USA! Do you know that you will receive up to 30 days to travel anywhere within the USA. OVC Partner with Topdeck Tours and all OVC members save up to 7% on Topdeck North American tours!! California Chilling, Vegas to Coast, Southwest States...What an exciting way to travel America with other SA’s you meet, or even venture out on your own – please contact your OVC office to book a tour as part of your December holiday!! The student work program has changed many young SA students’ lives! The opportunity to live away from home, yet in a safe environment, you get to travel and explore the USA which helps you to grow and make incredible memories whilst on the program. Be a part of a unique American holiday tradition, share your SA culture, and really become part of a family in the USA, learn their daily lifestyle and meet new people from all over the world. Are you 18 to 28 years old (Inclusive)? You are a full-time tertiary level student from a recognized educational institution?